Everybody loves San Francisco. Just ask the few million tourists who come here every year; they’ll happily tell you they love this amazing city. Where else could you enjoy a coffee among America’s most fashion-forward youth in the Mission District in the morning and catch a world-class show by the Civic Center the same evening? San Francisco is our shining city by the sea and is the west coast’s face to the rest of the world. This remarkable city has a unique character and “sparkle” that captures the heart and the imagination. But maintaining that sparkle and shine takes work; someone has to keep San Francisco shining and that someone is us. 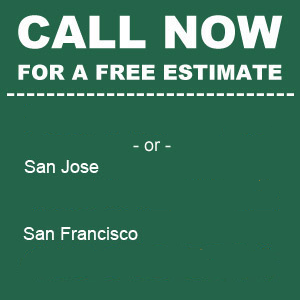 CleanSweep is the Bay Area’s premier street sweeping and power washing service. Our San Francisco street sweepers drive the city day after day to keep the streets looking their best. (Thanks for moving your car every week, by the way. We know that’s a pain.) But street cleaning in San Francisco isn’t all we do; our San Francisco pressure washing crews are always out cleaning up the grit and grime of daily life. We consider it a privilege to keep San Francisco beautiful, whether it’s making the streets in Hayes Valley clean or tidying up the latest construction site on the Embarcadero. But that’s not all. Our pressure washing services aren’t just for city landmarks; we’ll gladly power wash your house, your deck, or your driveway so your small piece of this glorious city will look its best. 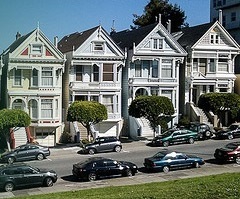 San Francisco’s famous neighborhoods are an important part of the unique character of the city, and keeping them clean and shiny is our job. San Francisco street sweeping and pressure washing is our contribution to keeping this city beautiful and we’ll happily do the same for your property. Help us keep our city—our home—clean. Call us today; you’ll be glad you did!